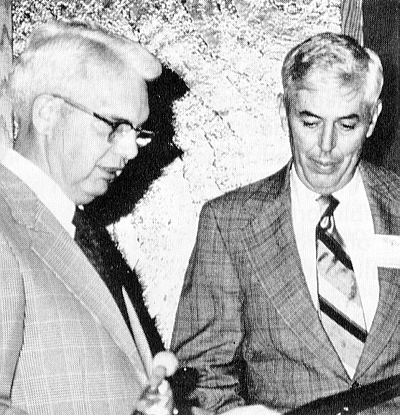 ARS President Augie Kehr presents the Silver Medal and citation to Ernest H. Yelton in 1976. Since acting as cofounder of the Southeastern Chapter in 1957, you have contributed vigorously and consistently to the Society, and to the advancement of the practical understanding of the rhododendron culture in the Southeastern United States. You have served as president of your local chapter and have been a frequent show judge and speaker throughout the region. 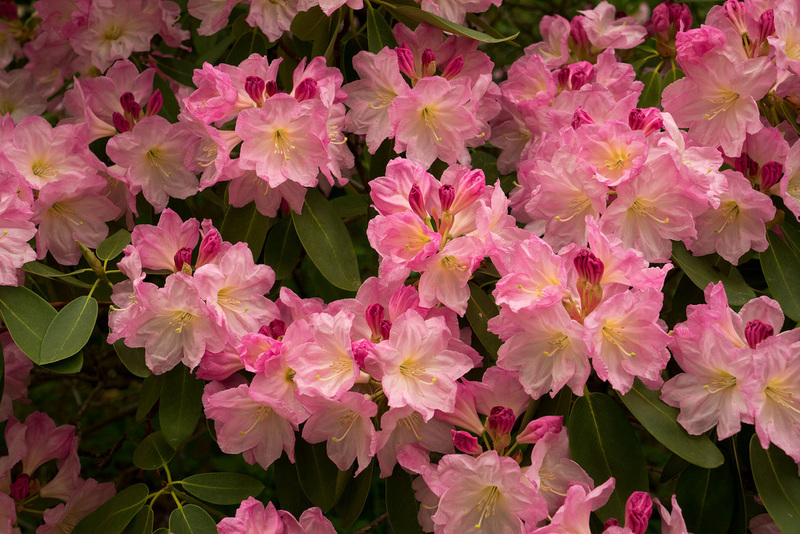 Through contributions to the Bulletin, you have been able to share your knowledge gained through long personal experience as a hybridizer and grower of rhododendrons. In assisting in the formation of the Piedmont Chapter, acting as program chairman of the 1967 National Convention in Asheville, North Carolina, and in the wide distribution of your own plant material, you have given generously of yourself. You continue to do so as a frequent contributor to the Seed Exchange and as a member of the National Board of Directors. The American Rhododendron Society is pleased to present its Silver Medal to ERNEST H. YELTON, M.D.